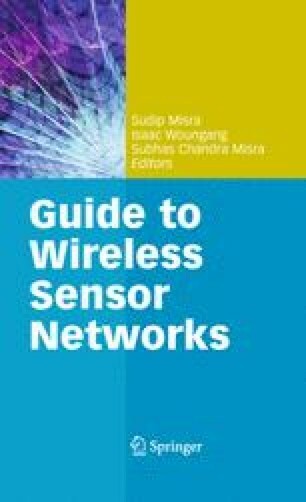 Sensor networks are complex systems incorporating a variety of different devices. As with any system, simulation of the system, or key components, reduces design time. With simulation, a designer can investigate performance and system correctness without having to build a device and test-bed. As a result, simulation is well suited to sensor networks, saving time and money, because to construct a test-bed hundred or even thousands of devices may be required to be produced and deployed. However, simulating sensor networks involves conflicting tradeoffs in the development and running of a simulation. This chapter explores the two different methods, discrete event simulation and analytical modeling, available to simulate sensor networks and pros and cons of each method. The chapter concludes with a comparison of the two methods.